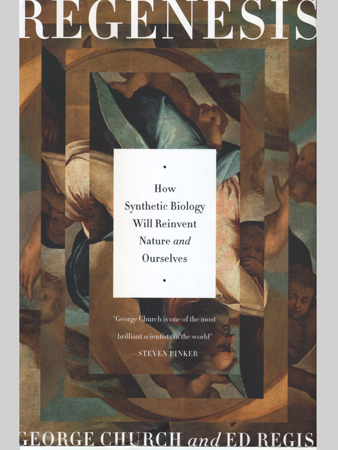 “Regenesis: How Synthetic Biology Will Reinvent Nature And Ourselves”, by George Church and Ed Regis. Dr. George Church. Behold Zack Galifiniakis in about 15 years. 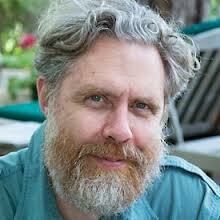 Professor George Church is in the genetics department at Harvard, and is a guy you’ve already heard of if you have any detailed knowledge of this field whatsoever. He’s a Certified Badass, having made foundational advancements in many areas (mostly centered around genetics, but ranging as far as the workings of the brain). And he’s founded nine companies so far. And he apparently invented a device to detect dark matter that uses DNA, in a paper that I absolutely need to read after I finish writing this review. We’re clearly dealing with a Certified Badass With Big Ideas here, a type of person we absolutely love here at timeblimp. The first few chapters are a pretty entertaining review of what Church calls the “History of the Genome”, which serves as a cool introduction to the wonders of genetics for the layperson. Starting from the majestic topics of the history and origin of life itself, they narrow down to the beginnings of molecular genetics and further to Synthetic Biology. A lot of the points he hits are likely to be old hat to those biotechnically savvy folks who are reading this book for the juicy snythetic bio details later on. The mystery surrounding the origin of life, specifically the role the the RNA molecule might have played as the first self-replicating molecule. Or the cool idea of what he calls “replexity” — that complex life forms are counter-intuitively in between the most simple forms of matter and the most complex forms of matter in the universe. The idea that both extremely simple and extremely complex are each in their own way extremely boring, and we reside in the interesting middle, is really fascinating but is well-covered in other books. Here it’s just one of many ideas lightly touched on in order to get to the real meat, the history and current state of synthetic biology research. While Church is a leader in this field, the unquestioned heavyweight champion is Craig Venter, the guy who raced the federal government to sequence the human genome, and won. His lab performed the first groundbreaking experiments in synthetic biology, including the complete synthesis of a microbial genome (i.e. assembling the entire DNA sequence chemically, in the lab), and shoving that into an existing cell to make a fully-functioning new microbe. This was well-hyped a few years ago as the first artificially-created microbe. Of course, the synthetic genome perfectly matched the bug’s naturally-occuring genome, so its not as though he put in genes to give the microbe an elephant trunk. But of course that’s the eventual goal — to synthesize a genome to our liking, insert it into a cell, and get a custom-designed microbe that does whatever tasks we want. Church points out this is still a long way from a truly synthetic organism — the genome molecule was synthetic (the actual piece of DNA), but the rest of the cell was a normal microbe whose own genome was ripped out and replaced. (Venter used a trick whereby you yank out a working cell’s nucleus, stuff in a new nucleus with the genome you want, give the whole thing an electrical jolt via raised-platform-through-the-ceiling-of-your-spooky-mansion-into-a-thunderstorm, and voila, a working living cell with a new genome.) This is more akin to what a virus does when it injects its own genome to take over a natural cell, than a truly “artificial microorganism”. Venter also did the first notable experiments toward this goal, of monkeying around with a microbial genome to see if we can alter it to our design. His lab published the “minimal genome” obtained by knocking out inessential pieces of a natural microbe’s genome, leaving behind just enough pieces to maintain normal function. Church and company are going farther, to think about the “minimal cell” — the synthesis of all the rest of the parts surrounding the genome, that make up a microbe. In fact the idea is to design a general-purpose ready-to-modify genome containing all possible genetic switches and doodads you could possibly want, then tweak from that basic kit to make the particular microbe you want. Church calls this new organism “E. Pluri” — he calls it the “maximal genome”, and would be the custom modder’s dream — a ready-made genome “kit” that could be altered in countless ways to make your own designer organism. So what do you do with synthetic biology? One cool idea Church proposes is a way to make humans entirely resistant to viruses. And this ain’t just some simple boost to the immune system — he proposes an astoundingly ambitious biochemical change that would indeed render us impervious to every virus on the planet. The idea has to do with the chirality of a molecule. Chirality is a hot topic in science, something the layman probably has never heard of but is the go-to weird topic to include in many outre theories. (For example, it makes an appearance over in the discussion about a “shadow biosphere“, a hypothetical separate biosphere on our own planet.) 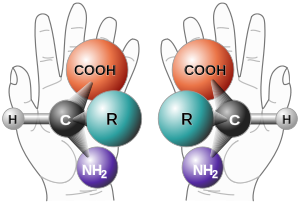 Chirality has to do with the arrangement of atoms in a molecule. We all know that if you swap out an atom in a molecule for another atom of a completely different element (say, replacing a phosphorus atom with an arsenic atom), you likely change the chemical identity of the molecule you’re molesting. 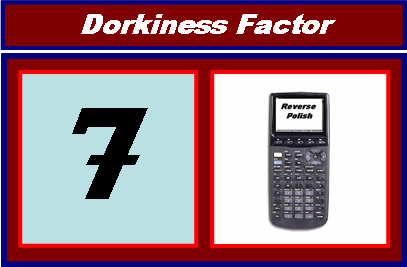 It becomes a completely new chemical, with a new chemical formula. But you can also alter the chemical properties of the molecule without changing any of its constituent elements. You don’t even have to change which atom is bonded to which — you can dramatically affect the identity of the chemical simply by messing with the overall shape. Specifically, the change we’re talking about here is reassembling the molecule so that it becomes the mirror image of the original. It doesn’t sound like much, but for most molecules, this is a big deal. For us humans, we look pretty much the same in the mirror, because we’re left-right symmetric. If your mirror image could somehow step out of the mirror and inhabit our real world, this doppelganger would look pretty much identical to you except for subtle things (such as that unfortunate tattoo is now on the left buttcheek). But imagine something more irregular, without any symmetry to it — imagine pulling the mirror-reflection of famously asymmetric Fenway Park out of the mirror, and setting it down beside the original. The mirror-image doppelganger would look similar, but not identical. It might look so similar that you wouldn’t even notice, but it’s physically different. Now imagine doing this with a molecule — most molecules aren’t mirror-symmetric like we are, so its mirror image is physically not identical with the original. Big deal, you might say — they still contain all the same atoms, all connected together in the same order, with the only difference being the angle of certain bonds. Still doesn’t seem like a big deal, but chemically it is — this is a completely different molecule, as far as chemical reactions are concerned. Take, for example, the molecule that gives spearmint its flavor. Mirror-image it, and you get a similar-looking molecule. In fact you might say it looks like the same damn molecule, but it acts completely differently — in fact, this molecule no longer tastes like spearmint, it tastes like caraway. A more chilling example is thalidomide — as Church points out, the opposite-handed thalidomide helps manage morning sickness, while the original-hand chirality (in a horribly tragic irony) causes severe developmental problems in the womb. So what’s the idea? Oh, just a simple little concept — simply convert the chirality of all molecules making up our own bodies. Easy, right? If you could do this, then your cells would no longer be chemically compatible with viruses. At all. You would become an alien being as far as a virus is concerned, completely impervious to the viral machinery that infiltrate our own cells and give us the sniffles. The key that viruses carry around to unlock our cells would no longer work in our front doors. Cool, eh? (I mean, cool idea — I know my metaphor is decidedly not cool.) Sure, but it also renders us chemically incompatible from the other stuff in our biosphere we need, like food — in order to collect nutrients from our food, we’d need to eat the chirally-flipped version of everything we’d normally eat. Furthermore, as we learned from the spearmint and thalidomide examples, the opposite-handed version of a molecule can react totally differently than the original — so some harmless chemical we don’t even notice now could become a toxin to us once we mirror-image ourselves. Church is probably assuming that as long as we flip the chiral state of every molecule we need, the resulting ensemble ought to be chemically compatible, just like the original chirality was. But we’d still be interacting with the same environment as before — so perhaps we could render ourselves immune to some dangers (like viruses), we might unwittingly place ourselves directly in the reach of completely new dangers. So what else do you do with this synthetic biology stuff? Well, there are a couple killer apps, and Church walks through them with the history and detail that only an industry insider can provide. One is biofuels — if you can coax a microbe into making jet fuel for you, then you wouldn’t have to dig it out of the ground. A major industry has built up around biofuel production in algae, and the next obvious step is to harness the bugs to make it for us. Another application is (as you might expect) more practical, short-term accomplishable steps to improve our own health. Before we can convert ourselves into chemical mirror images, we might be able to use synthetic biology techniques to battle against cancer, or in more mundane ways protect against viruses. But these are practical, world-improving ideas that frankly aren’t weird enough for us here at timeblimp, and so we will spend no more time discussing them. But there’s also the area of extinct species. In our high school, someone left an inspirational quote in the yearbook about how they planned to “bring back extinct species” when they grew up. Ha ha, isn’t that funny!, we all thought. You can bring a species back from the brink of extinction, but if there aren’t any surviving members of the species left, then you’re out of luck, right? Ha ha? Wrong. In 2003, an entirely extinct species was reanimated, however briefly — cells preserved from the last of the Pyrenian Ibex species were used to harvest a viable copy of the genome, which was then implanted in the cell of another species. The result? The Ibex genome hijacked the cell’s identity, converting it into an Ibex cell, which eventually could then be grown as an embryo in the womb of a surrogate animal of a different species. Once that embryo was born, the Pyrenian Ibex was no longer officially an extinct species. Unfortunately, it apparently went right back extinct again, as the cloned embryo only lived a few minutes after being born. Stanley Barnett, wherever you are, I’m sorry I scoffed at your yearbook quote. Ibexes are all well and good, but let’s bring something bigger, scarier, and hairier to life — a Mammoth. Enough preserved mammoth carcasses exist that it should be possible to harvest a genome or two to do the same trick. In fact, researchers are beginning to prepare a nature preserve with the right characteristics to serve as the home for newly-generated mammoths — “Pleistocene Park” in Siberia is being designed to match the natural habitat of the mammoth, if and when we ever get one up and walking. Even the neanderthal ought to be possible, as we’ve been able to piece together a good working draft of its genome. But to me, the most fascinating use of synthetic biology really isn’t a particular use at all, it’s the development of the “custom kits” for any researcher out there to do anything they want. Efforts like the BioBricks or iGEM enable researchers and students to build whatever genomic-powered creation they can dream up. Church gives a fascinating overview of this area with an insider’s perspective of the history, in the last few chapters of the book. So far, you probably wouldn’t be all that impressed by the tricks that we can get synthetically-designed genetic constructions to make, but right now these are in the realm of “wow, amazing this works at all.” The future potential is what makes this area so fascinating. So now let’s talk about the writing. I of course can make fun of someone else’s writing issues in my poorly-written blog, because that’s what a blog is for, right? Church’s book is another example of a problem common to authors who are scientists first, authors second. (Or third. Or eighty-fifth. Or who haven’t written a book for the layman in their entire lives.) This book is wildly uneven in tone from section to section, ranging from grandiose future-leaning prose in the epic “Science Is Cool” style of Carl Sagan or Neil Degrasse Tyson, to dessicated uber-detailed descriptions of some particular biochemical topic which I suspect have been cut-and-pasted from somewhere else. The book could really have benefited from another couple pass-throughs to smooth out these discontinuities. There are a couple bits of rough writing here and there, such as stating that “the Hepatitis C virus… is the leading cause of liver transplantation”. (So, does the virus actually perform the surgeries, or does it provide the funding for the transplants?) Issues such as the usage of terms without defining them (see “cDNA”) seem to me to be the “tell” indicating that this book is cobbled together from various sources. In fact it reads like a handful of relatively pragmatic, dry presentations about a field from one of its insiders, glued together and bounded on either end with Church’s more ambitious scientific dreams. Speaking of ambitious, just get a load of the title of the last chapter: “+1 Yr, The End of the Beginning, Transhumanism, and the Panspermia Era.” Wanna bet that title came from a grant proposal? Or from one of Church’s fever dreams? The complete chiral flip of every biomolecule in our body (and food) is a relatively tame idea compared to the grandiose concepts Church brings up at the end. How about the possibility of intentionally speeding up the rate of our own evolution, in order to gather those advantageous mutations more rapidly? Or what will happen to our evolution as we make our way off this planet and colonize the universe? I make fun, but it’s actually people like Church, an unabashed scientific dreamer who can also fund multiple successful companies, who push the frontiers of science. After all, if he can get that chirality-flip method to work to grant us immunity to viruses, I’ll be first in line to get the procedure done. 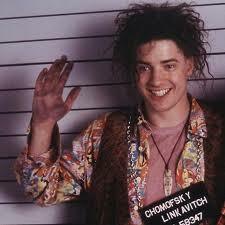 Then I’m heading to the ball pit at Chuck E Cheese to laugh in the faces (probosci?) of every common cold virus in the place.